The PIL filed in the Karnataka High Court on Thursday seeks directions of the court to the State to conduct an enquiry to identify the administrators and officers derelict in the conduct of their statutory duties, leaving drains uncovered, and are thus criminally culpable for their negligence. The PIL also prays for a direction from the court, to the Chief Secretary to initiate criminal prosecutions against such deviant and errant officers, who are guilty of criminal negligence, resulting in the failure of governance and administration in the city. The petitioners have highlighted several similar tragedies in the past resultant of the negligence and callousness on the part of authorities. 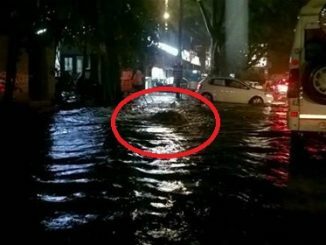 The deaths of Pukhraj Jain who died falling into an open flooded drain right outside his house; Rihan, a three-year-old toddler being washed away in a storm water drain just behind his house in Roopena Agrahara in 2011; six-year-old Abhishek being washed away in an open drain in Lingarajapuram in 2009 have been highlighted in the PIL. It has been pleaded that none of these deaths have led to criminal liability being fastened on the officials guilty of criminal negligence. In an effort to ensure such tragedies are not repeated, the petition also seeks directions to the Secretary, Urban Development Department and the Commissioner, BBMP to prepare a time-bound, comprehensive plan of action for undertaking and establishing safety and security mechanisms, pertaining to public drains and other utility services such as electricity supply etc. Chandrasekhar has also sought a direction from the court to the BBMP to undertake immediate steps to close all open drains and manholes in the city and provide adequate signage, warning the people of hazards. The petition is a step that aims to ensure that the officers responsible for maintaining public utilities and services are made accountable for their actions and omissions. This petition also arises in the backdrop of the High Court of Karnataka having previously initiated suo motu actions in case of deaths of children by drowning in flooded and abandoned quarry pits in the State. 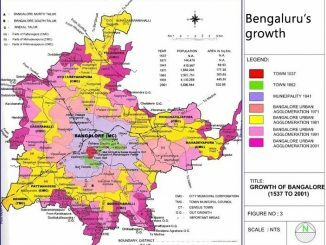 How prepared is Bengaluru to deal with monsoon? Be it drought or flood, our politicians try to extract compensation from the government, while this never reaches the real victims. There’s one such compensation to be given out soon in Bangalore!